Let me start by saying that the following practices often work for their intended purpose and I am not writing them in any order of how harmful they are. In Dr. Robert O. Young’s New Biology® we consider many of these things to have what I have heard Dr. Young refer to as “short-term benefits with long-term consequences”. In order to explain this, you will also be getting some New Biology® theory throughout the series. As I explain these things, please understand that we know and understand what old biology (the accepted world-wide system of physiology among all allopathic and naturopathic doctors alike and which all other medicine is based on) teaches. The following explanations come from a pH Miracle Certified Nutritional Microscopist perspective and one who ascribes to the theories of Dr. Young’s New Biology® – a challenge to our current model that has enabled us to understand the body and how it works much more effectively, and therefore discover and provide the cause and self-cure for ALL dis-ease. Does it work? Sure. But not without cost. Coffee is acidic and gets absorbed directly into the bloodstream during an enema through the hemorrhoidal veins which also enables a direct path to the hepatic portal vein where the liver can get a direct infusion of this acidic liquid. This pouring of acid directly into the bloodstream causes immediate acidification of the blood. The blood must maintain a pH of 7.365…or we DIE. So, the body goes into overdrive to maintain homeostasis in the blood and pushes the acid out of the blood and into the tissues. It does cause a release of bile, but not because it is benefitting the liver by cleansing it. Dr. Young refers to the Digestive System as the body’s alkaline buffering system, because it does not digest food with acid, it buffers the acid in our food by creating an alkaline liquids of sodium bicarbonate so it can safely pass through our body for elimination. 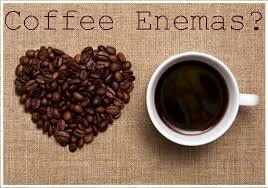 The liver excretes a massive dose of bile during a coffee enema to attempt to alkalize and protect the body. The blood requires the pulling of an alkaline forming compound of sodium or potassium bicarbonate from the muscles, joints, and tissues to maintain homeostasis, essentially robbing them of alkaline minerals such as calcium, potassium, and magnesium. So, if the body is robbing itself of alkaline mineral salts and water to maintain that delicate blood pH at 7.365, there are long-term consequences that will follow. Robbing your muscles of magnesium repeatedly could lead to issues down the line such as fibromyalgia, robbing the joints or bones of calcium could lead to things such as arthritis or osteoporosis, and robbing the tissues of water and salts could lead to issues such as chronic fatigue. But what about people that swear by coffee enemas claiming they have been instrumental in healing for them? Well, they might very well see results from coffee enemas such as major bowel flushing as the acidic caffeine stimulates the colon cleansing by enhancing the peristalsis. The surge of energy following a coffee enema is partially from the dose of an addictive drug known as caffeine directly pumped into the bloodstream but this also taxes the kidneys and adrenals, especially over time, leaving the subject reliant on the coffee enemas for that surge of energy they feel afterward. My guess is that people practicing coffee enemas may have made a few other changes for their health at the same time and this was just part of a regimen leading to improved health. When someone changes their diet and lifestyle from a SAD (Standard American Diet) to a plant-based diet, they are sure to see changes in their health. And, when adding ANY regular enemas to this they are going to see huge health changes because most dis-ease starts in the gut. When you start cleaning the bowels, you start to make massive improvements to your health…but the coffee enema in particular is on the list of these “false positive” health practices in this series…giving the appearance of great benefit, but deeper down, wreaking havoc on your long-term health. A liver flush, as I will describe, is so powerful you can actually see green balls in your bowel movement the following morning if you have any starting to form as gall or liver stones. 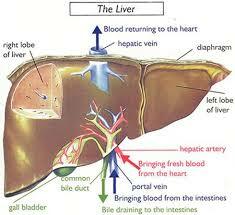 A liver flush help to alkalize your body while offering a pure liver flush and huge detox boost! Around 4pm (at least a few hours after your lunch or last snack – you will not be eating until the following morning) drink 1 quart of pure alkaline water mixed with 2-3 Tbsp. epsom salts. 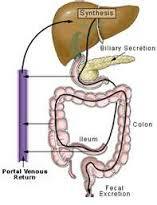 This serves to provide a major bowel flush which is important first step to the liver flush. Cheers to a healthier liver without the acid overload! Any guesses what any of the other 9 so-called natural remedies might be? Stay tuned! Previous PostOut of Control Maryland Medical Board, and the Individual Employees involved, ULTIMATELY SANCTIONED by District Court – a Total Finding For the Plaintiff. Damages Hearing to FollowNext PostFinally the Truth is OUT! Salt is Good For YOU! Dr. Young, how many days do you recommend to do this liver flush? Reblogged this on Bio-Sil South Africa.